19 LISTS Hi! My Name IsLists about Marshall "Eminem" Mathers and his world-changing music. The History of Kim and Marshall Eminem's Messed Up Childhood All About His Daughters Eminem's Most Savage Feuds The Most Brutal Disses on Kamikaze Fun Facts All Fans Should Know Eminem Memes All Fans Will Love Ranking the Very Best Eminem Songs Things He Has Done For His Fans Pics of Every Eminem Tattoo The Best Songs Featuring Eminem People Who Call Him Their Friend The Best Songs on Kamikaze 8 Mile: Fact vs. Reality Eminem's Very Best Music Videos Underrated Songs by Eminem All Albums, Ranked Best to Worst Every Song on Revival, Ranked Where Is the 8 Mile Cast Today? 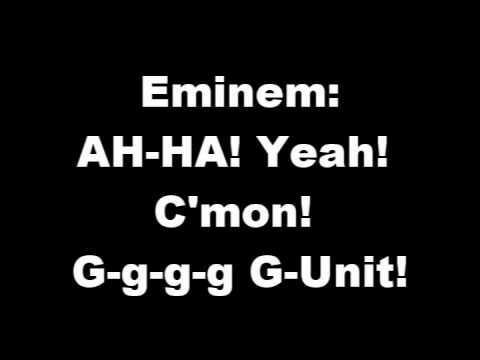 List Rules Vote up the most on-point Eminem disses. Eminem has been named amongst the greatest lyrists time and time again. One of the most powerful weapons in his lyrical arsenal is his sharp tongue when it comes to dissing other artists, and it hasn't gone unnoticed. Eminem has won 15 Grammy awards, and 43 nominations, for categories like Best Rap Song, Song of the Year, and Best Rap Solo Performance. The totality of Eminem diss tracks is almost as long as his catalog, and his lyrics have caused countless feuds in the rap community. The people Eminem has dissed could start a very large, angry club, and it wouldn't even be limited to other musicians. Members would include politicians like George W. Bush and Donald Trump, everyday people like his ex-wife Kim and his mother Debbie, and whatever Iggy Azalea is. Of course, we can't forget the Eminem and Mariah Carey feud. Now, let's go ahead and dive deep in to the greatest Eminem disses of all time. Dankest Diss: "Insult me in a line, compliment me on the next, damn, I'm really sorry you want me to have a heart attack, Was watchin' 8 Mile on my NodricTrack, Realized I forgot to call you back. Here's that autograph for your daughter, I wrote it on a Starter cap, Stan, Stan, son, listen, man, dad isn't mad, But how you gonna name yourself after a damn gun and have a man bun?" 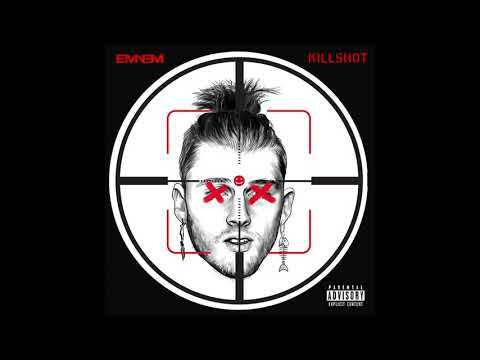 Eminem responded to Machine Gun Kelly's "Rap Devil" with "KILLSHOT." "Rap Devil" was a response to Shady's Kamikaze track "Not Alike," and Eminem makes sure to address every single one of Machine Gun Kelly's grievances on the track. He really goes in with lines like "I'm 45 and I'm still outselling you," and "I'd rather be 80-year-old me than 20-year-old you." Eminem Vs. Ja Rule: "Hailie's Revenge"
Dankest Diss: "You on Pac's d*ck, you a replica guy. If he was still alive, you would never get by. All you do is cry, b*tch, keep it real. Life is more than imitating n*ggas and eating pills." Shady's beef with Ja Rule was inherited through his crew, specifically 50 Cent. Before Marshall and Dre signed 50 Cent to their record label, 50 already had a pretty intense past with Ja, including physical altercations that resulted in 50 punching Ja, and 50 and crew getting stabbed in a club (on two separate occasions). Ja Rule was pretty pissed that Em and Dre would sign someone he clearly had beef with, and things spiraled from there. Ja came after Em with lines like “Em, you claim your mother’s a crackhead and Kim is a known sl*t / So what’s Hailie gonna be when she grows up?". A furious Shady geared up his crew and fired back with the brutal track "Hailie's Revenge." Eminem Vs. Mariah Carey: "The Warning"
Dankest Diss: "Wow, Mariah, didn't expect you to go balls out. B*tch shut the f*ck up before I put all them phone calls out you made to my house when was Wild'n Out before Nick. When you was on my d*ck and give you something to smile about." Arguably, one of Shady's most publicized feuds was with pop star Mariah Carey. Eminem claims that he and Mariah dated, even going so far as to play voicemail messages he claims are from her live at shows on tour. Carey claims to have never had any sort of relationship with Marshall. 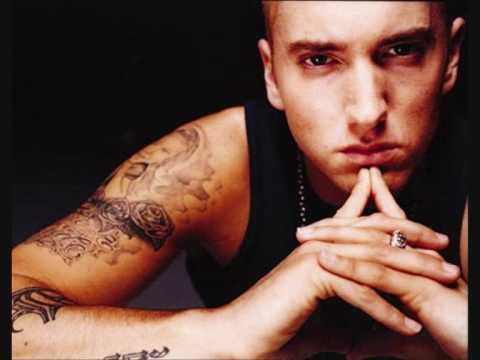 Carey released a track called "Obsessed," which was understood to be about Eminem and his "delusional" obsession with her. Of course, Shady couldn't let her diss go unanswered, and released his own track entitled "The Warning." In the track, Marshall pops off about Mariah and her new (at the time) husband Nick Cannon, in typical savage Shady fashion. 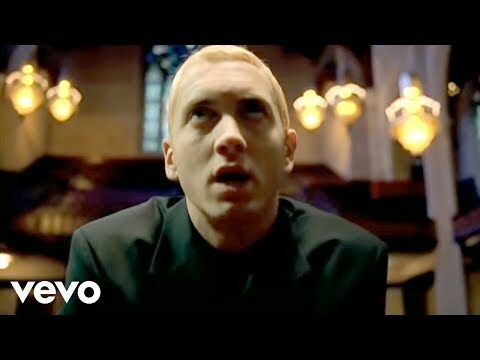 Eminem Vs. Debbie Mathers: "Cleanin' Out My Closet"
Dankest Diss: "My whole life I was made to believe I was sick when I wasn't, 'til I grew up, now I blew up it makes you sick to your stomach, doesn't it? Wasn't it the reason you made that CD for me, ma? So you could try to justify the way you treated me, ma? But guess what? You're getting older now and it's cold when you're lonely and Nathan's growing up so quick he's gonna know that you're phony. And Haile's getting so big now, you should see her, she's beautiful. But you'll never see her, she won't even be at your funeral!" If you couldn't tell from his songs, Marshall Mathers has just a few issues with his mom, Debbie Mathers. An angry Slim Shady seems to place the blame for a large portion of his dysfunctional childhood squarely on the shoulders of his mother. Debbie was still just a teenager when she gave birth to Marshall, and the two moved frequently, making it difficult for Marshall to make any long-lasting relationships. Debbie also struggled with addiction and mental health issues throughout the majority of Marshall's youth, so it's hard to imagine she was winning any parent of the year awards. After Debbie released her own CD in an effort to explain her side of the story, Marshall released "Cleanin' Out My Closet," in which he not only rebuffs her attempts, but puts her on blast even more so than in previous tracks. Eminem ultimately apologized to his mother in 2014.